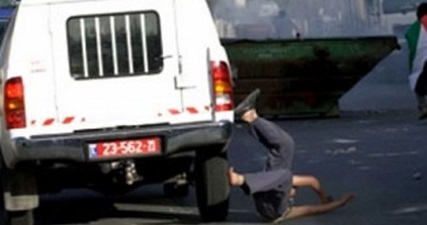 A Jewish settler driving at a high speed on Monday deliberately ran over a Palestinian citizens working for al-Khalil Reconstruction Committee in the Old City of al-Khalil. Local activist Aref Jaber said that a settler intentionally rammed his car into Jum’ah Qafisha, who works for the Committee, in Jaber neighborhood and fled the scene. He added that an ambulance crew rushed to the area and provide medical help for the victim, who suffered a hand fracture and some bruises.